Dip dyeing is so addictive, it’s amazing I haven’t dip dyed everything I own. 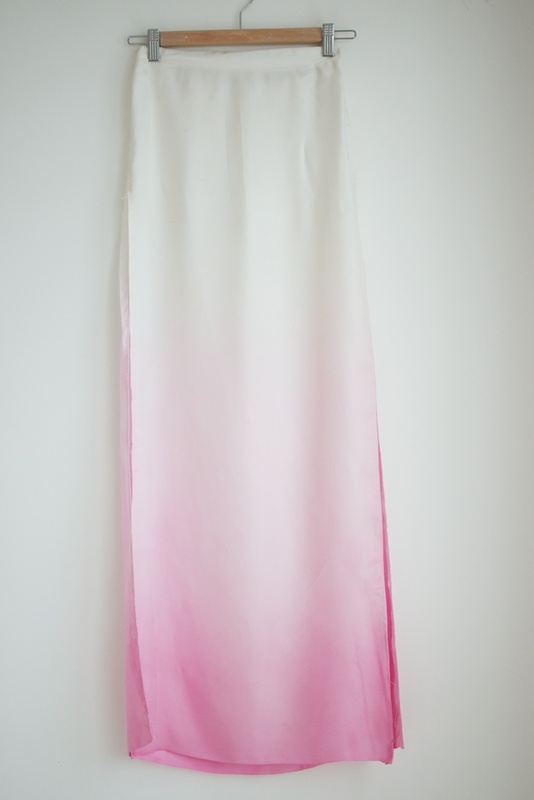 I made this maxi a little while ago by dying some gorgeous white silk and then making a maxi skirt out of it, I chanelled a little bit of sass & bide by giving the skirt two large side splits. Here’s a rundown on how I did it. 1. Hang – Fold your fabric in half and hang it on a clip hanger. 2. 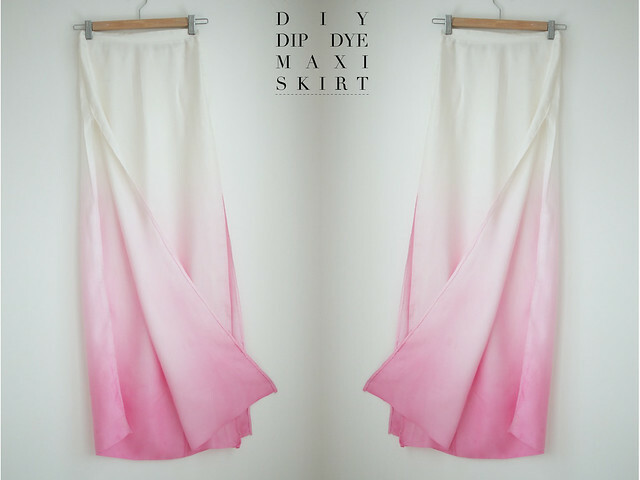 Dip – Using the dying method I showed you here (link to http://www.harpersbazaar.com.au/fashion/style-network/a-pair-a-spare-diy-lilac-ombre-mini-skirt.htm), dip the fabric in a few different concentrations of dye, the lightest first graduating down the a more concentrated pink at the bottom of the skirt to get the ombre look. 3. 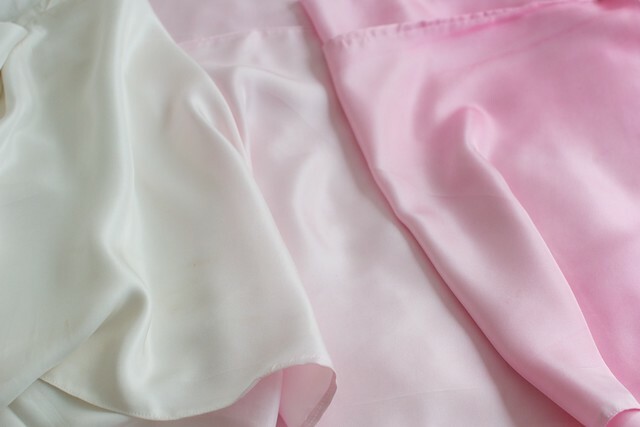 Dry – Leave the fabric to dry and then machine wash it to set the dye. 4. Sew – Finally, make a simple elasticated waistband maxi skirt out of the fabric using the process I showed you here (http://apair-andaspare.blogspot.com/2011/01/diy-sheer-black-maxi-skirt.html) – but this time make a front and a back panel and leave the side seams open for your desired split length.